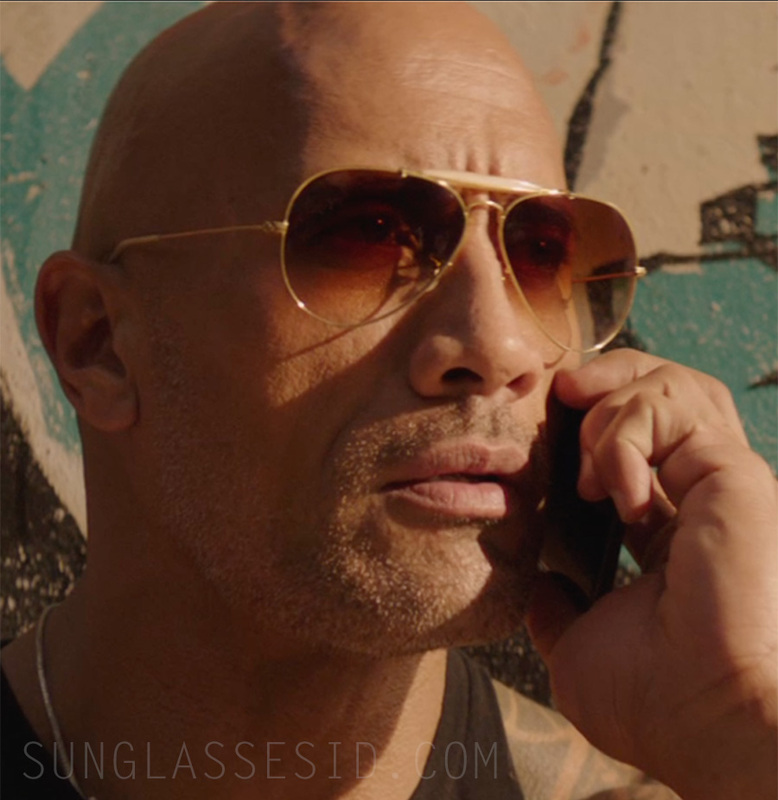 Dwayne Johnson wears Ray-Ban 3029 Outdoorsman II aviator sunglasses in Fast & Furious Presents: Hobbs & Shaw (2019). The glasses have a gold frame, light brow bar and brown gradient lenses. This combination of light brow bar and brown gradient lens is not available online and might be a custom lens for the film, but at a sunglasses store they might be able to configure the glasses with these colors.